The Chinese language is considered one of the most difficult and complicated languages to master as it is a collection of various languages and dialects that are significantly different from one another. Below are some important tips you should be aware of when you require English to Chinese translation. Simplified Chinese or Traditional Chinese? Many people are confused over these two terms, along with Mandarin and Cantonese, when requesting Chinese translation. Having a clear understanding of the differences is important because they are related to the locale you plan to target. To put it simply, Simplified Chinese is the standard written form of Chinese and is most commonly used in Mainland China and Singapore, while Mandarin is the spoken form and is used in China, Singapore and Taiwan. Traditional Chinese is the written form of Chinese used in regions like Hong Kong, Macau, Taiwan and Malaysia and the spoken form is Cantonese (except for Taiwan). The Chinese writing system is made up of different characters, which usually require much less space than English characters. Therefore, translated Chinese texts use less space than the original English texts. That is also because Chinese doesn’t use spaces between characters and the characters can be used as a word or a sentence depending on the context. This also causes challenges for desktop publishing (DTP) when formatting marketing collateral or advertisements where sentences are broken into different lines. For example, English words are translated into multiple Chinese characters and DTP specialists should make sure to keep these characters together when they are breaking lines. In Chinese, people have different ways of writing names, addresses, dates, etc. Misunderstandings can happen if the translator is not aware of these differences. For example, when writing addresses in English, an address is written as building number, street name, city, state (province) and country name. In Chinese, it is the other way around, written as country name, province, city, street name, building number. The same applies to dates. In English, the Chinese New Year is written as February 5, 2019 but in Chinese, it is written as 2019 February 5. As stated above, Chinese uses characters in the written form and this is also reflected in numbers. For example, the character ‘万’ (wan) means ten thousand in Chinese, so the character ‘万’ is considered a numeral unit in Chinese, just like thousand. One million is 100 x10,000, which in Chinese literally means one hundred “wan” (which means one hundred ten thousands). To summarize, during the Chinese translation process, not only the character differences but also sentence structures and cultural differences need to be taken into consideration to avoid misunderstandings and ensure language accuracy. For more information or help with your next website translation project, please do not hesitate to contact us via e-mail at info@globalizationpartners.com, or by phone at (866) 272-5874, or by requesting a free web translation quote on your next website translation project. 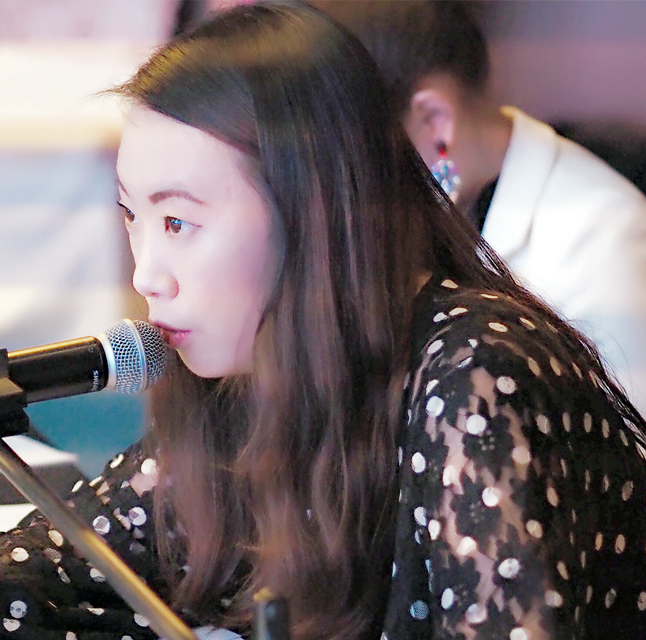 Jade is a native Chinese speaker from Guangdong, China. She has a degree in English (Advanced Translation and Interpreting) from the Guangdong University of Foreign Studies. Her experience includes providing Chinese translations and consecutive interpretations for global clients and events in the fields of travel, hospitality, finance and investments. She has served as a journalist/writer for Media Most Publishing, a banking relationship manager at RAK Bank and has completed freelance content work for Dubai Tourism and Conde Nast Traveller. When she’s not working, she enjoys traveling, short excursions to other Emirates, swimming, watching movies and playing table tennis.